November 2016 edited November 2016 in Announce your apps made with Gideros. It's been a long time coming but I finally completed porting an older Android game of mine from phonegap to Gideros native and released the update yesterday! The animation is so much smoother in Gideros. It is running the latest 2016.10 release. I hope to have it in the Apple store soon. Please check it out and let me know what you think! There's a lite (ad-free) version and a paid version with all the options. Battle it out in this exciting turn-based game of strategy and risk! 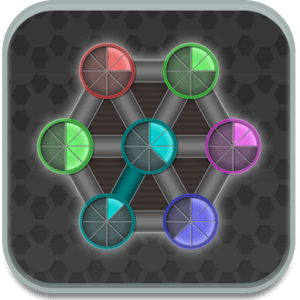 Play against four other enemies until you have conquered all of the cells. - Various starting scenarios that each provide a different style of play. - Fun environment options like Fog of War.